Tere Shelton Bernace is a broker and co-owner of Shelton and Stewart Realtors. Being an independent broker provides us the freedom to develop a brand and culture of our own. Most franchises today are very transaction-driven, while Shelton and Stewart Realtors is a relationship-oriented company. Most of our sales are from recurring customers or customers who refer business to the company because of their satisfactory experience. First of all, we’ve always been an independent firm. Prior to forming Shelton and Stewart Realtors LLC in 2009 with my two partners, Teresita Shelton and Consuelo Stewart, I was a partner with my mother, Teresita, in Shelton and Associates Realtors Inc. My mother and Consuelo Stewart have been in the real estate business as independent brokers for over 30 years, and we all decided to join forces in 2009. In the case of Consuelo, prior to this venture she was a partner in another firm and her partner decided to join a franchise, something Consuelo did not want to do. As partners we’ve developed a strong niche in our market and do not feel that a franchise name brings any significant added value to our business model. I don’t think it is necessary to have a franchise name on your storefront in order to be successful in this business. I think the most important factor when considering the sale or purchase of a home is the background and experience a real estate agent brings. One does not automatically become a great real estate agent by working with a franchise or large box company. One does not automatically become a great real estate agent by working with a franchise. In my case, I was fortunate that my mother started this business many years ago, and since the beginning of my career I’ve always worked with an independent firm. Prior to joining my mother in 2002, I was an international banker for 14 years with Barclays Bank PLC. 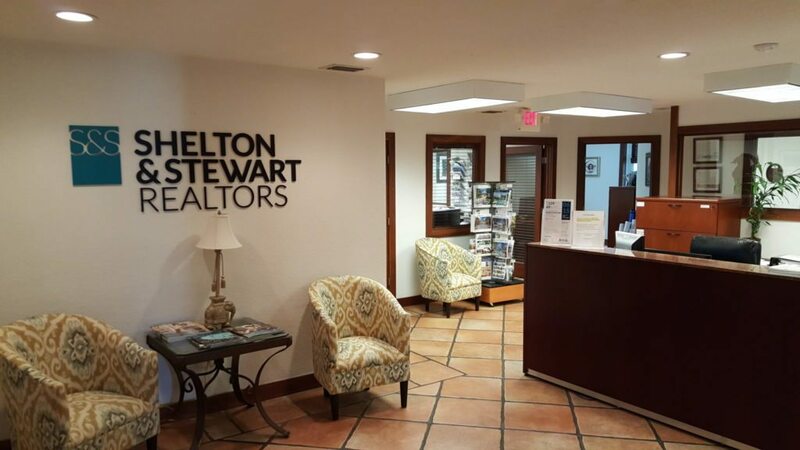 Starting Shelton and Stewart Realtors LLC in 2009 benefited from the partners’ long established track record as independent brokers, and our names were already well-recognized in the local market. This business is never easy; however, our focus has always been in developing relationships, and we make it a point to continue our contact with clients well after a transaction has been closed. Not only do these clients become a source of repeat business, they also become a good source of referrals because of their satisfactory experience. This made our transition very smooth, and our business builds organically from existing customers, as well as new customer relationships. Yes, we’re a member of Leverage Global Partners, which is a network of boutique independent real estate firms located in 34 states and 16 countries. The network covers 155 markets and has over 5,000 agents. My family is very involved in the business. My mother and I as partners and brokers cover the marketing aspects, while my husband is involved in the operational and financial management of the firm. My brother is a real estate lawyer and has his office in our same building. This is very convenient when it comes to closings, as well as legal advice. Consuelo’s husband is also an attorney and is also involved in all strategic and legal matters. 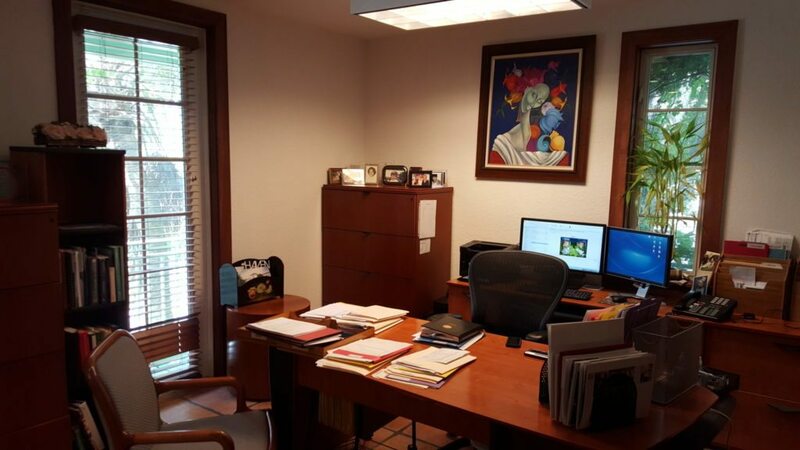 Our office consists of 3,280 square feet located on the second floor of a two-story building that is owned by my family. We have eight offices for the partners, staff and a couple of high-producing associates, as well as open space with approximately six computer work stations for our associates. In addition, we have a conference room, small kitchen and bathroom. All our offices have windows to the exterior and interior, which provides natural light to the interior spaces. Our office is located in city of South Miami in Miami-Dade County. It borders the University of Miami’s main campus and the cities of Coral Gables and Pinecrest, which are two major markets our firm covers. We have approximately 100 agents and operate out of one office. 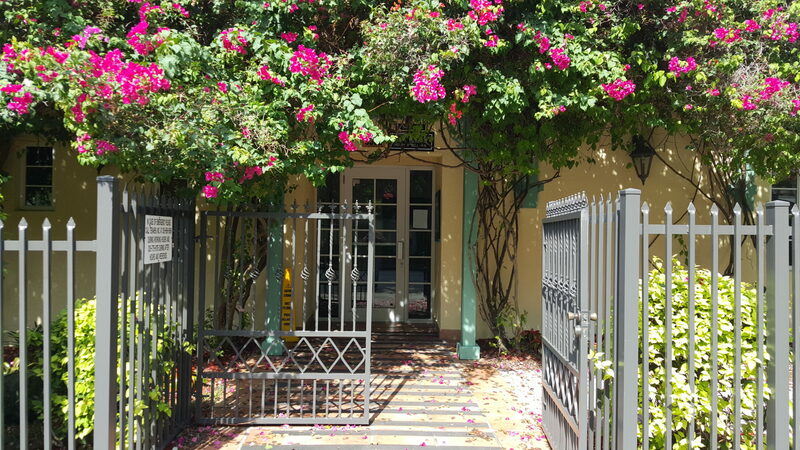 Our office is centrally located within minutes to the markets we cover, which include Coral Gables, Ponce Davis, South Miami, Pinecrest, Coconut Grove, Brickell, Miami Beach and Key Biscayne. We market our brokerage through a very personalized service combining both traditional marketing channels of communication (newspaper, magazine, real estate signs, direct mail brochures, etc.) coupled with state-of-the-art technology. All our listings are professionally photographed. We believe our direct mail brochures are the best in the industry. In addition, we also have professionally shot luxury-edited HD virtual tours of our listings. As I mentioned before, we are very relationship-driven, which translates into recurring business and a large number of referrals. Last year, close to 50 percent of our business was generated from past clients and referrals, which attests to the extraordinary service we provide our customers. We also recognize the importance of the Internet as an advertising vehicle and have developed a state-of-the-art website that not only showcases the homes that we sell but is also equipped to maximize exposure by search engines. We do have an annual Christmas party for all our associates and staff. We have food, music and a gift exchange. In addition, we have associate marketing meetings on a quarterly basis and generally host it in our offices with breakfast where we do presentations on new developments. We also periodically have training sessions at our offices with food and beverages. Provide your brokerage’s digital presence. Do you have a website? What publishing platform do you use? Are you active on social media? Which channels? We have a website that was recently refreshed to display our new logo and colors. Our home page now displays large professional pictures of properties we have listed for sale. We are constantly updating our site with the help of a third-party vendor in order to maximize our exposure by search engine crawlers. We are also actively engaged in social networks such as Facebook, LinkedIn, Google Plus, Twitter and Pinterest. As a member of Leverage Global Partners, our properties are also displayed on their site. We also display properties on the Miami Herald’s real estate websites. As a member in Who’s Who in Luxury Real Estate, the leading luxury home broker directory, our properties are also displayed on their sites. Finally, as a real estate firm our properties are listed on the MLX Exchange and realtor.com. We are also very active in marketing through emails blasts and customized fliers that are send out to a database of email addresses that include past customers, visitors to our website, other companies’ top-producing Realtors and our real estate associates. One of the biggest advantages to operating as an independent brokerage firm is our ability to adapt quickly to market conditions. As a small firm we can try different ideas and move quickly on what works, as well as what might not work. Implementing ideas is a very quick process because it just involves discussions with my two partners. The biggest challenge may be a more limited budget as it relates to marketing compared to the large firms. However, we recognize that we’re a boutique firm with a niche market that provides tailored and hands-on service to customers. We’re a boutique firm with a niche market that provides tailored and hands-on service. As I mentioned before, we’re very focused on developing relationships. Our clients’ satisfaction is very important to us because we see repeat transactions and referrals. In addition, our client is not only hiring just one broker but three. The Cocoplum Team consists of my two partners and an associate who has been with us for many years so our clients get four seasoned professionals for the price of one. In addition, our clients deal with us directly at all times — we do not hand off client-facing functions to an assistant. Last year we added some more associates to our company, which resulted in a greater percentage of our business coming from our associates instead of our partners. We would like to attract more associates with proven track records to our firm who share our same philosophy and culture. This year we launched a new logo, as well as refreshed our website. In addition, we will also be making our website mobile-friendly, which is a must in this day of mobile devices such as smartphones and tablets.